ExecutiveBiz spoke with Gavin Greene, vice president of business development, regarding the data challenges facing NT Concepts’ customers and how the company assists federal agencies in enhancing and making sense of their data. ExecutiveBiz: What is the culture of NT Concepts and how has your experience prepared you for your role with NT Concepts? Gavin Greene: NT Concepts has a mission-focused, innovative and passionate culture. We live by our core values. The draw for me to join NT Concepts was that I shared the same values. For example, one of the company core values is to welcome entrepreneurs. Throughout my career, I have been particularly successful at bringing new solutions to customers that directly impact their mission, especially within the intelligence community. My experience at large and small companies has uniquely prepared me to further NT Concepts solutions within the GovCon marketplace. We are truly making a difference. ExecutiveBiz: Where does NT Concepts drive the most value in the federal marketplace? Gavin Greene: Because of our intense mission focus, we know our customers and we know what they want. Our teams constantly challenge each other to think bigger, stand in the future and deliver solutions that others can’t. One of our competitive advantages is we excel at bringing commercial technologies to the government. For example, we’re a premier partner with the largest commercially-available GEOINT data providers in the world. Recently, we delivered a visualization solution that provides access to terabytes of data from a well-known technology that our client could not get to before — now they can enhance their data, gain new insights and get better intelligence. Explore: We relentlessly pursue best-fit commercial tech. Examine: We measure return on investment and find the risk-versus-reward for potential deployment of the technology. Exchange: We continuously collaborate with clients to ensure mission fit. Excelerate: We “excel at accelerating” time to operational status for the government. ExecutiveBiz: What are the greatest IT challenges facing federal agencies? 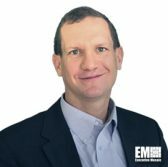 Gavin Greene: Each customer brings their own unique mission challenges, yet they all share the same underlying problem: data. Data volume, unstructured data, data and legacy technologies and systems as well as data security. 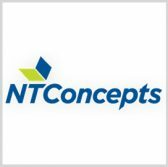 NT Concepts excels at solving hard data challenges, whether related to personnel, case management, cloud, automation, augmentation, intelligence or visualization. When you look at our business, it’s all about ensuring the right data, the truth data, gets where it needs to go so our customers can confidently and quickly make critical decisions. ExecutiveBiz: What does the future look like for NT Concepts heading into 2019? Are there any new technologies, services or platforms on the horizon? Gavin Greene: 2019 is about solving our customers’ complex missions by leveraging our artificial intelligence/machine learning expertise. We’re hyper-focused on making AI a reality for our clients: from background investigations to real-world situational awareness and critical decision-making. In fact, we recently won two prime contracts with a specific intelligence community customer leveraging AI/ML. Next year, our data science teams will tackle tough edge computing problems to process and analyze large volumes of data for enhanced insight and intelligence. It’s challenging, important work — we’re excited to help shape the future of AI/ML in national security so we can deliver even greater value and success for our clients. Before joining NT Concepts in 2017, Gavin Greene held senior leadership roles with The Radiant Group, CACI International and the Harris Corporation, among others.